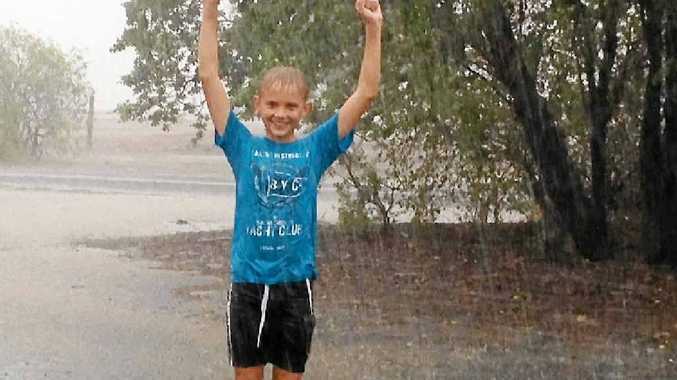 YOU BEAUTY: Blake Siller, 12, is celebrating after 74mm fell at “Monkana”, south-east of Capella. IT'S the Christmas gift that keeps on giving as rainfall continues to grace central, west and north-west Queensland. Farmers celebrated yesterday and took to social media to share their rain gauge readings which broke river banks at Julia Creek and closed roads from Richmond to Hughenden. High rainfall was recorded across the state, with falls in areas including Bluff and Blackall exceeding 100mm over two days. According to the Bureau of Meteorology, the rain may be short-lived with tomorrow, Thursday and Friday looking set to bring clear skies. A BOM spokesperson said there was a medium chance of rain for Rockhampton and a 29% chance of rain for the Capricorn Coast. 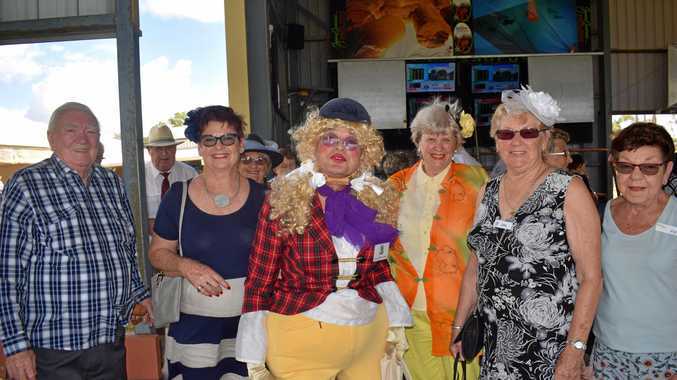 "There are showers for tomorrow (Tuesday) on the forecast for Rockhampton with a medium chance in the morning for showers," the spokesperson said. "Going further inland, there is a higher chance of rain with the Central Highlands and Coalfields looking at high chances of rain over the next three days (December 28, 29 and 30)." The spokesperson said it was expected that in excess of 50mm would fall today within the northern parts of the Central Highlands. Woohoo!!! Pallamana Station, South of Charters Towers as the heavens opened! "The weather will be interesting over the next few days with the tropical low heading south from the Gulf of Carpentaria," they said. "Most of that moisture we are experiencing is being driven in by the monsoon over in the Northern Territory." The BOM spokesperson said most of the rain fell yesterday and was now trending southwards. "The rain has been great for the north-west and west but for the south-west it isn't all that positive as it looks like the low is not going to reach that far." Celebrations were also had at Fairview Station just north-west of Winton after 73mm turned dusty dirt paddocks into mud baths. Rick Britton's great niece Maggie McAuley was amongst the action at Fairview Station after witnessing her first downpour of rain on her family's property. The property, which had not seen good rain for three years, turned on the weather for Maggie, who recently turned one. Rick said she had an older brother who was also in on the mud bath action, as well as their two parents. "She was doing what children are supposed to do… just having a great time," he said. After several hours, water went over the Weir on the Cloncurry River. Cloncurry hasn't seen a good rainfall in a while and seeing this was an awesome thing as it meant our drying dam was getting filled with precious water. Feel free to share but it cannot be published in the media without consent. "You can't buy that sort of gift, it's the best present you could ask for."